UPDATE // Thank you to all those who’ve participated in a fabulous round of Travel Photo Roulette. The competition is now closed and the winner will be announced on Saturday 2nd March. We’re having a hard time choosing a clear winner so we’d like to invite you to leave a comment detailing your favourite photo and why you think it should win. 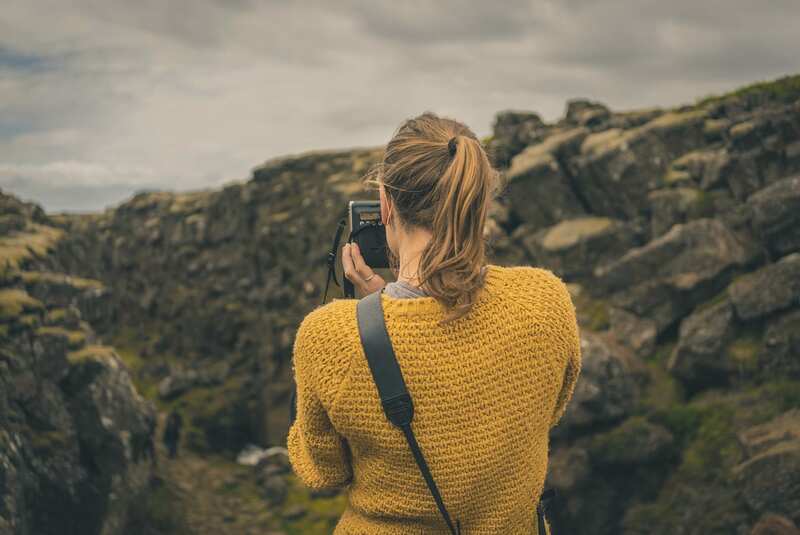 To see the winning entry visit the Travel Photo Roulette Results. 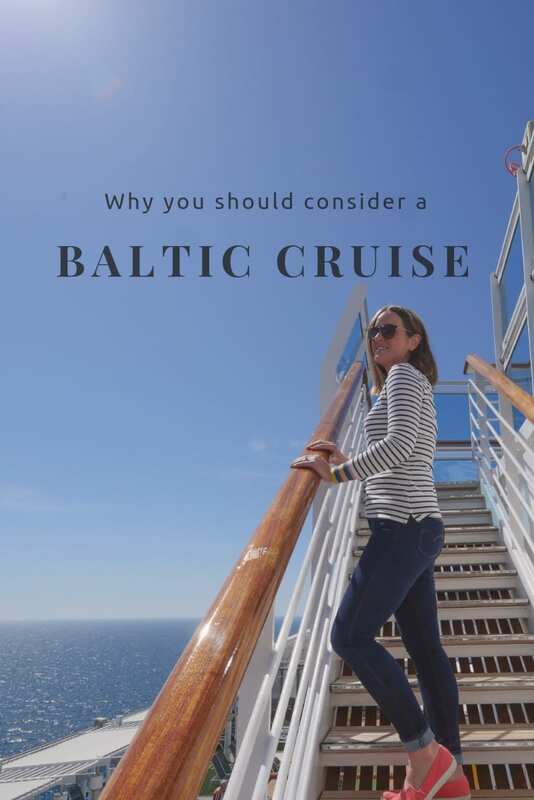 We are a new addition to the travel blogging community so we’d like to start by saying hello. We’re Charli & Ben and we’ve been nomadic for the past two years. 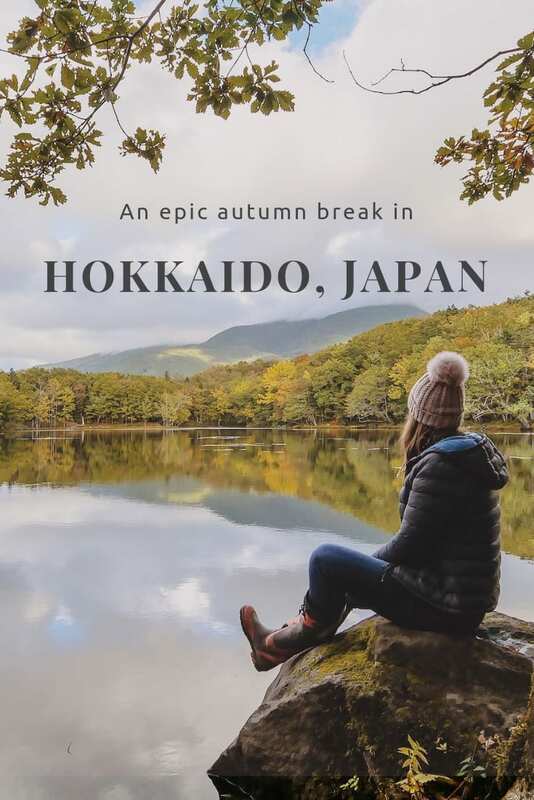 Our insatiable wanderlust has taken us on an adventure through six countries where we’ve looked after eleven incredible properties. 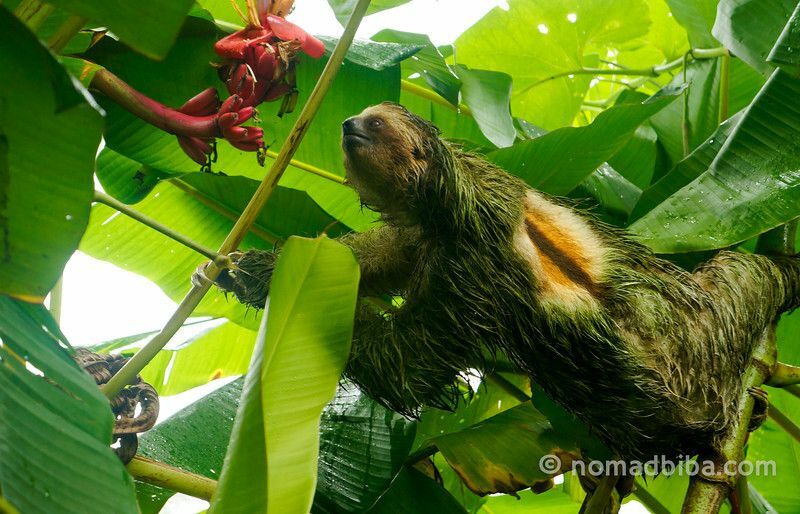 We’re slow paced travellers who utilise house sitting to submerse ourselves in local culture. While you’re here we invite you to have a look round our website and see what we’ve been up to. 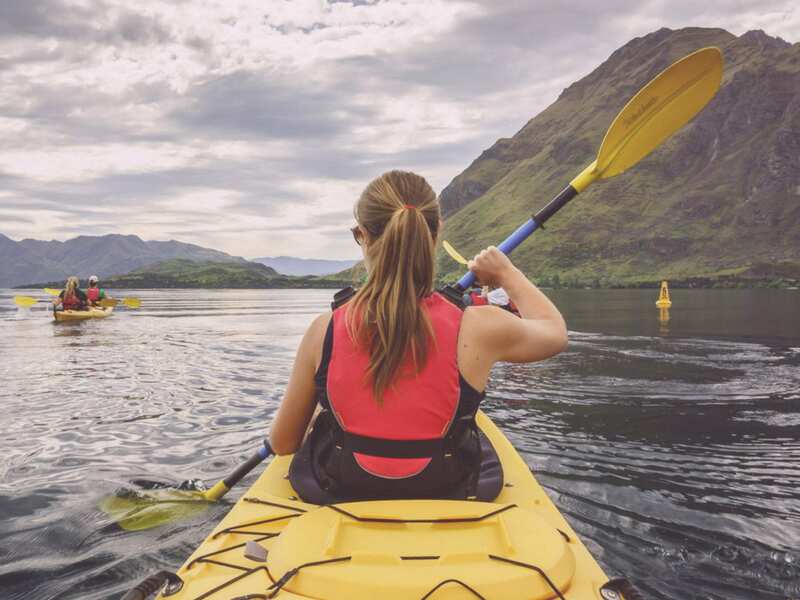 From volunteering in Costa Rica to scuba diving the Great Barrier Reef we are sure you’ll find something to ignite the desire for adventure. 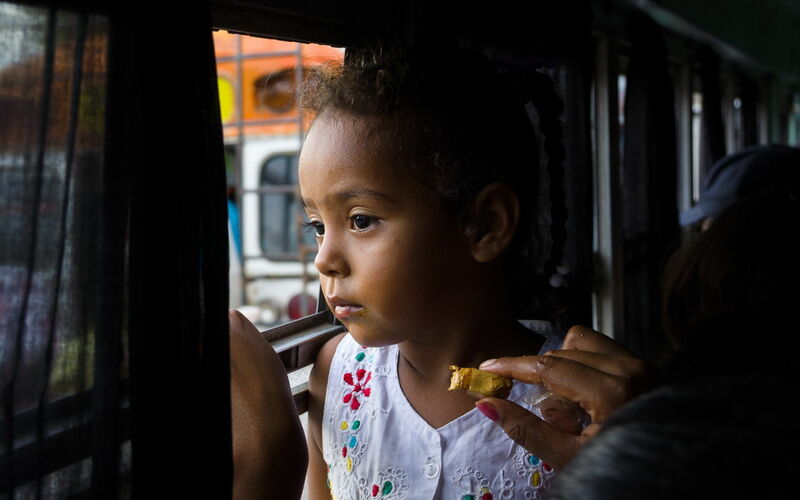 The previous round of Travel Photo Roulette was hosted by Dave from Travel Transmissions and he kindly selected our photo of a young Nicaraguan girl ‘Lost In Thought’ as the winning entry. Our chosen theme for the next round of Photo Roulette is The Natural World. Over thousands of years the human race has colonised our beautiful planet discovering its wealth of natural resources and staking claim to its continents and oceans. Throughout history countless explorers have set off in search of exotic new lands to feed our ever growing wanderlust. It is for precisely this reason that so many of us have chosen to leave the confines of modern society and immerse ourselves in all that mother earth has to offer. 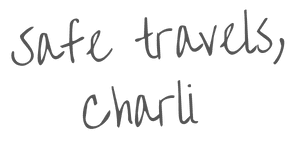 Our adventures have so far taken us from the fruit laden hedgerows of the UK to the volcanic heart of Central America, through snow capped mountains in British Colombia, to the sandy shores of Hawaii. 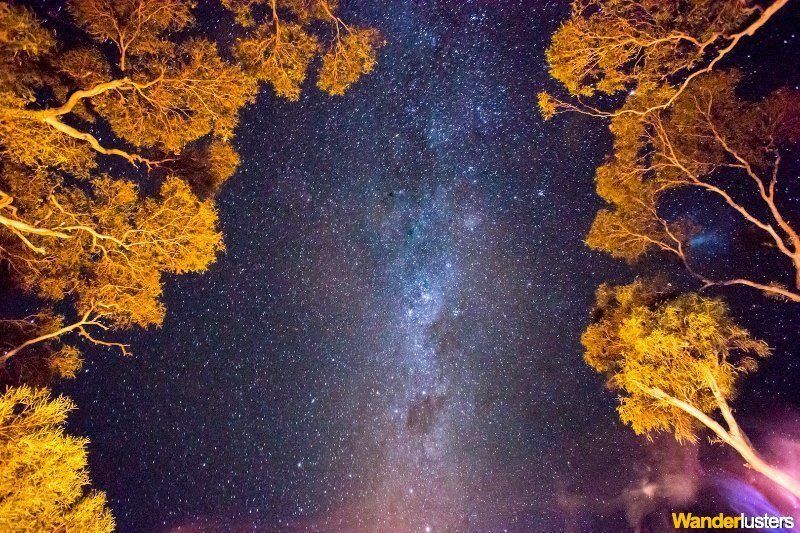 Our eleven month road trip around Australia provided insight into just how diverse the wildlife and natural environment of one continent can be. 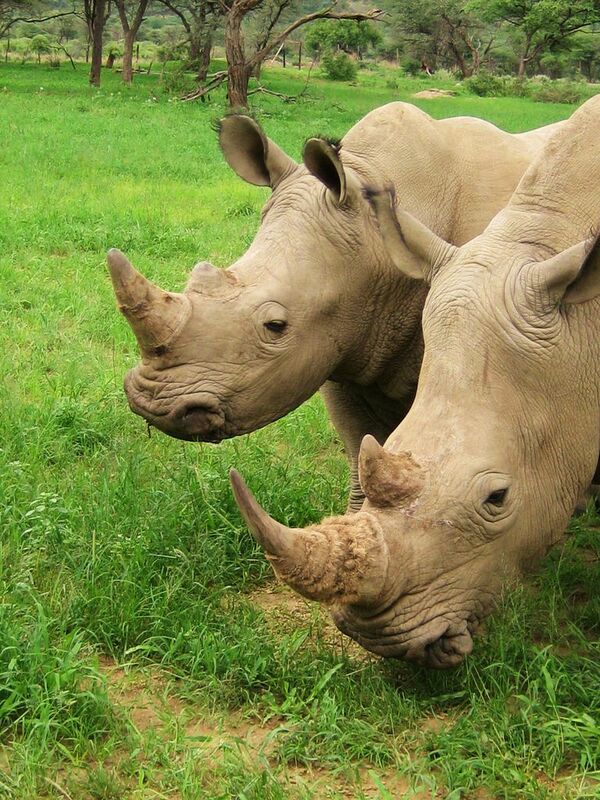 We invite you to take us on a journey of discovery through the Natural World. This round will run for seven days Friday 15th to Friday 22nd February 2013. 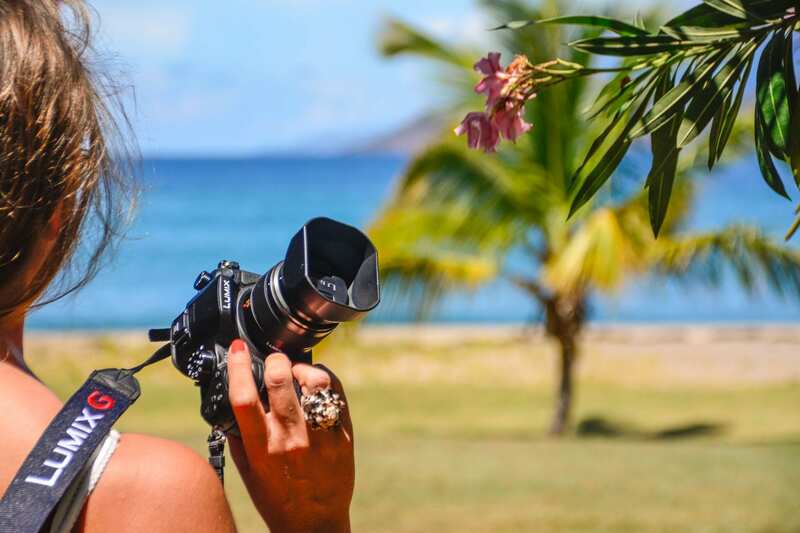 For those new to the concept Travel Photo Roulette is a rotating contest with participation open to travel and photography bloggers. However if you’re currently bloggless we’d love to hear which entry is your favourite so do join in and leave us a comment below. At the end of the week, the hosting blogger chooses their favourite photo from the submissions and displays it as the week’s winning entry. They then include direction to the new host for the next round. Readers can attempt to lobby the author toward a certain photo via comments – the author can accept or ignore any lobby as they see fit. The game is repeated with the winner hosting the following week’s game and choosing a phrase for new photo submissions. Please try and keep your images medium-sized and web-optimized (around 800px). To enter in the Photo Roulette competition simply leave a comment below with a link to the image (whether Flickr, Picasa or your own site) so it can be uploaded to this post. Don’t forget to provide a brief description or caption for the photo so the viewers can get a little background as to what’s happening. Alternatively send your submission to the email listed in the top right corner of the website. Check back here throughout the week to see all the entries as they come in and feel free to comment on them. The contest runs for 7 days from today, with the submission dates being February 15th to February 22nd (Friday to Friday). The winner will be announced a few days after the deadline, and they will host round #56. After driving up up and up for nearly 30 minutes, I arrived at Glacier Point to find a wall of white fog instead of a sweeping vista. I stood there for what felt like hours, hoping that something would materialize. What I finally saw was a lesson in why I should be more patient in life. For one brief moment, the clouds parted in front of Nevada Falls to give me this once-in-a-lifetime shot of Yosemite’s most beautiful waterfall. 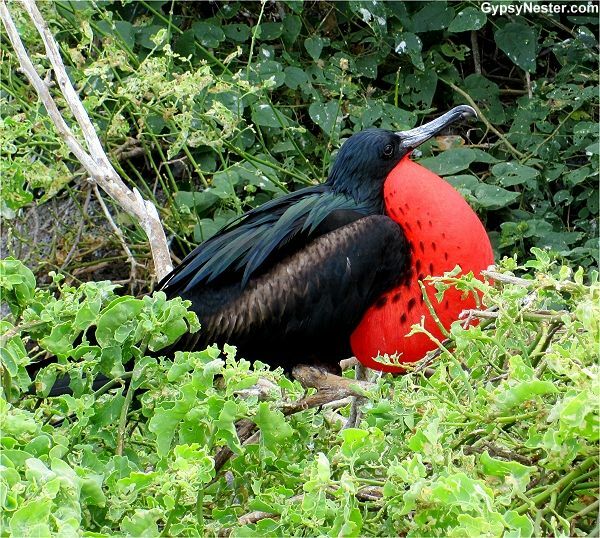 A male frigate doing his version of the Galapagos singles bar scene. What girl could resist a bright red inflated gular sac like that? 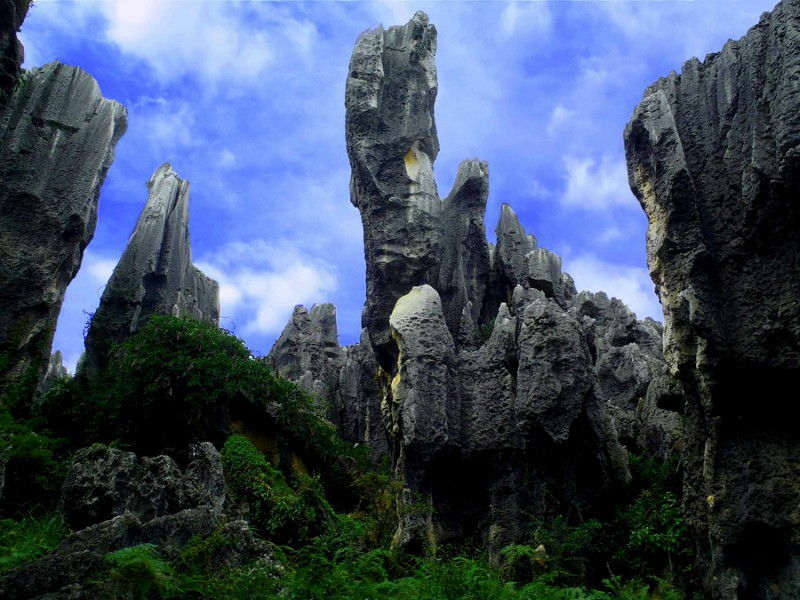 South China’s Yunnan Province is home to the world famous Stone Forest, where protruding limestone takes the shape of a petrified forest. Unfortunately this picture isn’t too unique as the Stone Forest covers a total area of 140 square miles. 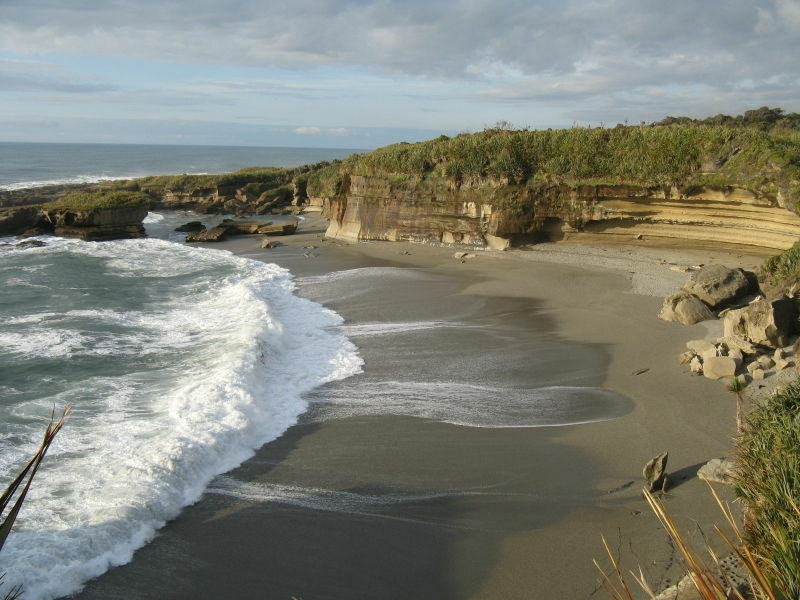 We were on our New Zealand campervan trip when we made it to Curio Bay on the south island. On the beach next to the campsite were some penguin nests and we sat out in the rain and cold for three hours waiting for the parents to return to feed the young. 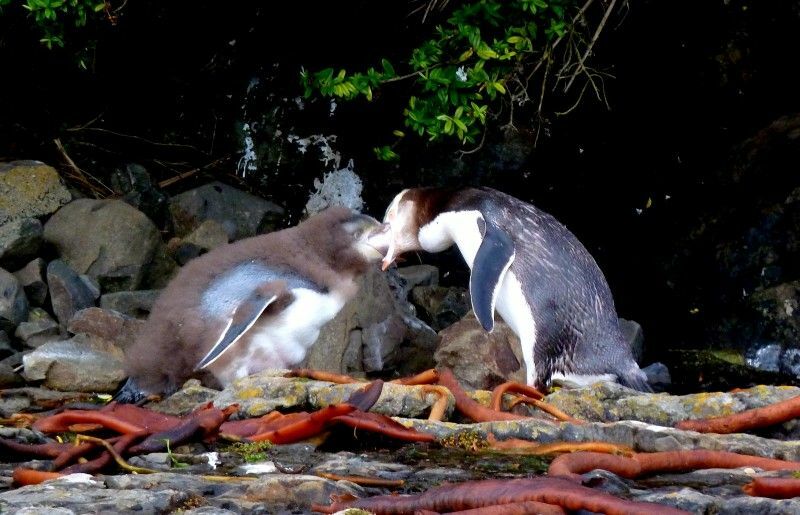 We were rewarded with this shot of the young penguin being fed by the parent – mouth to mouth fish food. It was well worth the wait. The areas are roped off so that us pesky tourists don’t get to close and frighten the returning penguins so the shot was taken with a very long lens and a not so steady hand. We arrived at Karekare beach in Piha, New Zealand, just in time to see the sun bleeding through the clouds. Waves rolled in, white and foamy, reflecting the soft dazzling rays of sunlight as the clouds diffused their shine. This is the beach where ‘The Piano’ was filmed, and amidst the overpowering beauty of the Earth’s elements, there was also a moody feeling of both romance and the gentle but constant reminder of Mother Nature’s power. 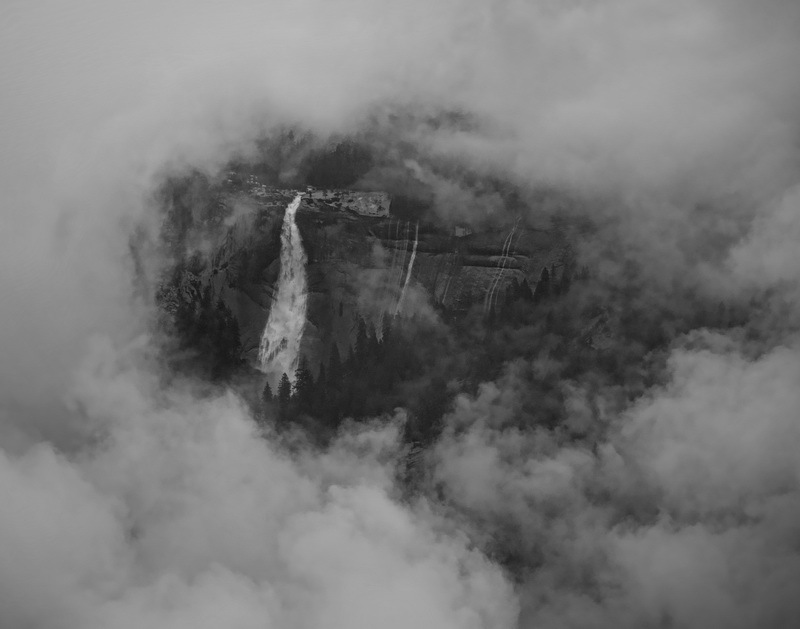 This is one of my favourite images from Grindelwald, Switzerland. 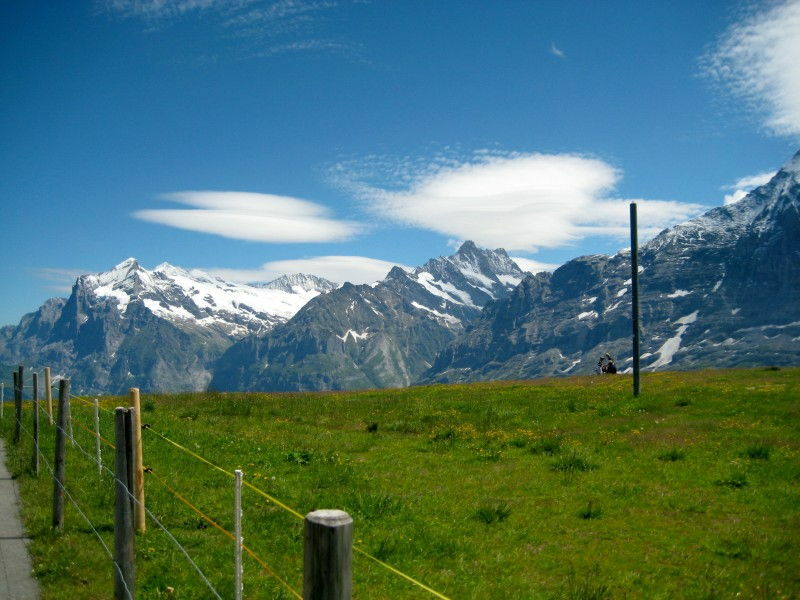 I took the 17 minute gondola ride up to Jungfraujoch known as the ‘top of Europe’. On the way up you could hear cowbells from the cows on the hills below, it was gorgeous. The photo was taken at the top, I stayed for a long time just in awe of how beautiful it was. 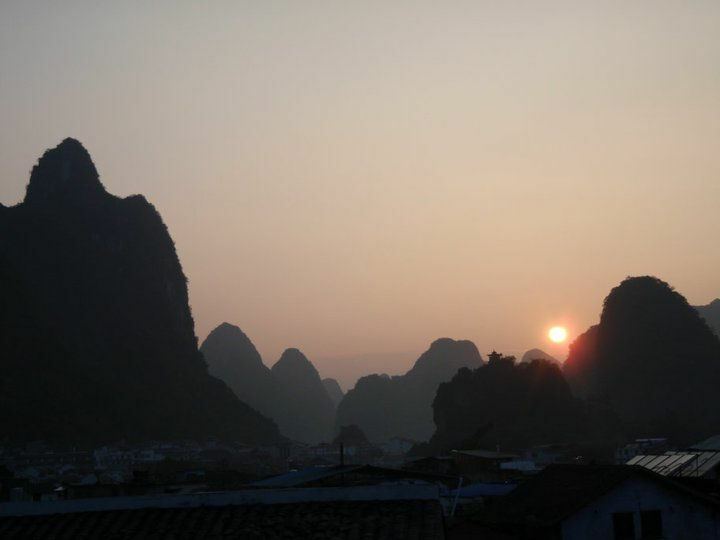 Quite possibly one of my favourite natural scenes is that of Yangshuo, China as the sun goes down. Can’t get enough of those peaks! We came across this perfect reflection of a blue heron in an inner city park in Portland, Oregon. This goes to show that natural beauty can be found anywhere if only you take the time to look. We took this shot during out trip to Monterey, California. There were hundreds of elephant seals hanging out in the harbour area and we loved watching them in their natural environment. They didn’t even care about the onlookers, and this little guy seemed to actually enjoy the attention and posed for my camera. While visiting friends just outside of Nelson in New Zealand a magnificent lightening storm brewed as the sun set and I managed to capture some very dramatic skies. 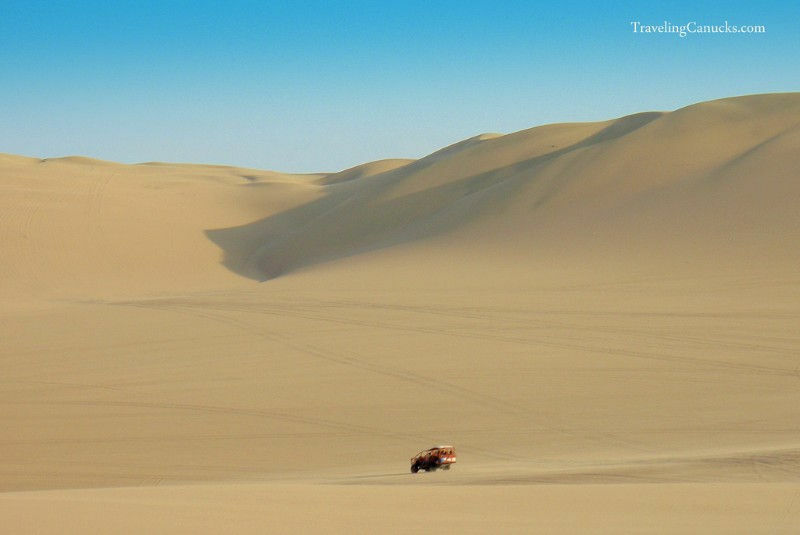 The giant sand dunes of Huacachina on the coast of Peru are truly out of this world. The last place we ever thought we’d find a massive desert landscape was in Peru. This photo is proof that Mother Nature does great work! One of my most lasting “natural world” memories is sitting on a ledge overlooking the verdant Blyde Canyon in South Africa. It had such a primitive, other-worldly feel to it. I wouldn’t have been surprised if a pterodactyl flew by or King Kong came barrelling through. It felt like the cradle of mankind! Any time I think of the Natural World I always think of home. 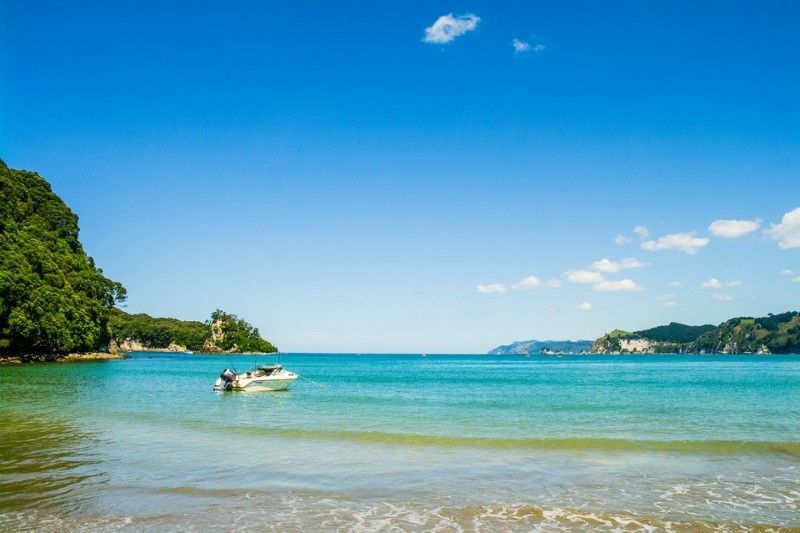 And what better representation than my favourite place in the world – Clark Island, Whangamata. Clark Island has so many family memories and it is one place I will always return to when I get back home from travelling. I was watching the sun rise at 6am over the salt flats in Bolivia, and turned around to see the hills turning this gorgeous orange colour. This part of the flats have a thin layer of water over them, so the scenery is reflected perfectly on the ground. Not only that, but a rainbow had been painted in the sky to add to one of the most beautiful natural wonders I had ever seen. 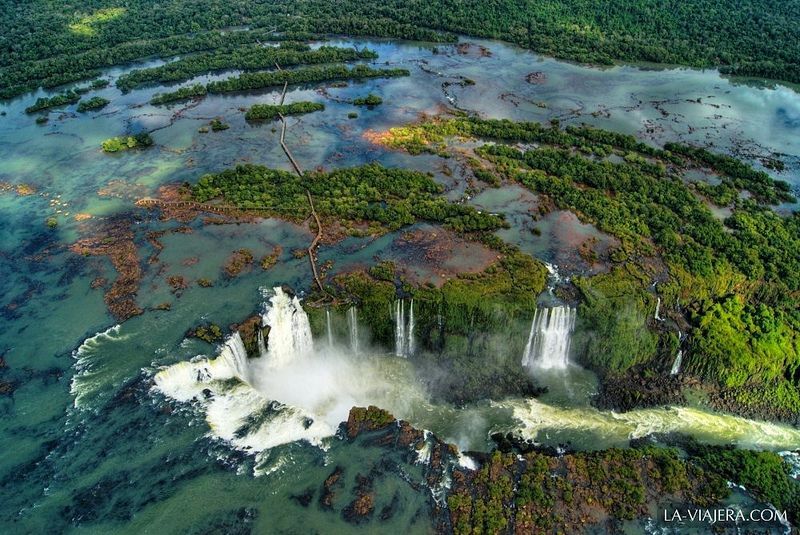 One of the best things I’ve ever spent my money on while travelling was to splurge on a ten-minute helicopter ride over Iguazu Falls in Brazil. Here is one of the photos from that trip. One of my favourite places to experience the world in it’s most natural form is on the West Coast of New Zealand where I’m originally from. 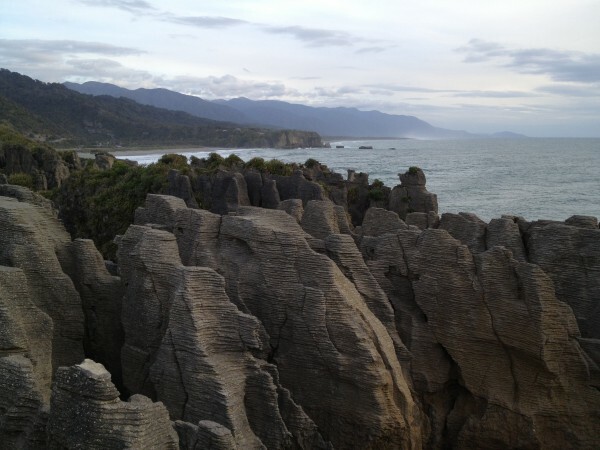 It’s very wild and rugged and nowhere more so than at the Pancake Rocks in Punakaiki. 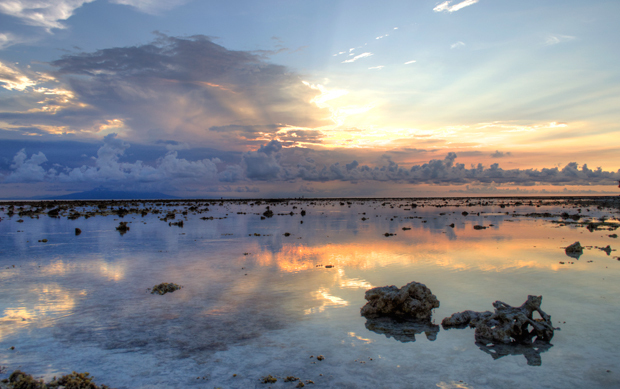 I’ve gone for sunset on the island of Gili Trawangan off the coast of Lombok – I loved the pastel colours reflected in the calm waters and the weird looking rock formations poking through the surface. I’ve been to Iceland recently and I am still in shock (in a good way!) 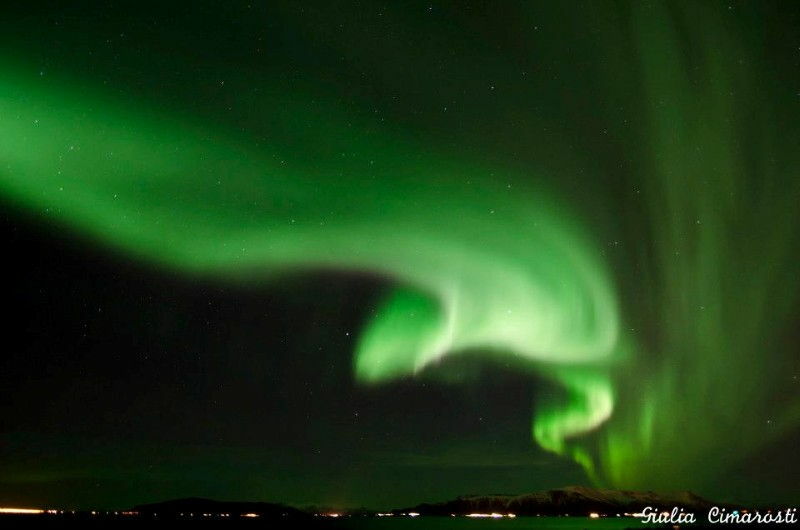 after I saw the Northern Lights for the first time… it was incredible! That night, I reached this spot in Reykjavik, and a friend who was already there told me I just missed the show. No way! I waited for almost 4 more hours, and I was finally rewarded with this fantastic Aurora… a private show as everybody else left in the meantime! It was past 4am but totally worth the wait. Now I want to see more! Between driving on the left, sheep grazing on the side of the road and this landscape I had one of those “Oh my God, I’m actually in Ireland!” moments. 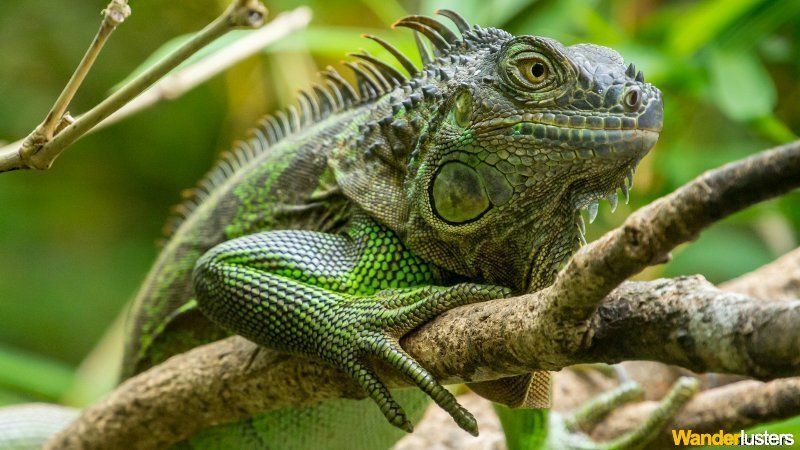 At first I was going to select an interesting animal photo or beautiful landscape photo, but then I thought – that’s what everyone else will be submitting! Instead I have selected this photos of a tree root enveloping the head of a Buddha statue. Although this photo was taken with a non DSLR and may be technically less quality than some of my other nature photography – I liked the way it shows the way that nature will always rise up over man made structures. No matter what, nature will always find a way to survive. But that doesn’t mean we have to fight nature, I think the photo shows that nature and the human world can become something even more beautiful when combined together. Arriving on Dazhai village was like being back in time. It was so peaceful and calm, with fresh air and a stunning view. 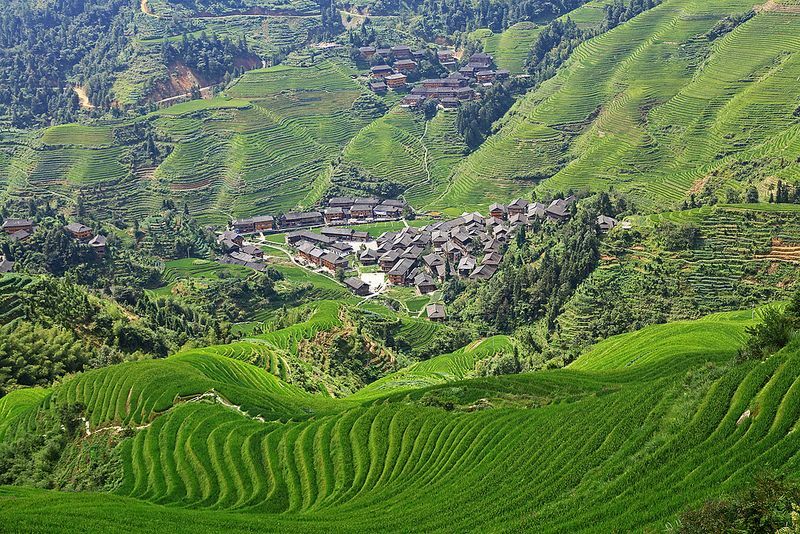 Dazhai is framed by world famous rice terraces that rise up to 1.200 meters: The Dragon’s Backbone Rice Terraces of Longsheng County. I felt right at home since it was not that different from little villages in the Alps of Austria. These rice terraces are the most well-known in China and were mostly built during the Ming Dynasty, about 500 years ago but construction actually began in the Yuan Dynasty (over 700 years ago). 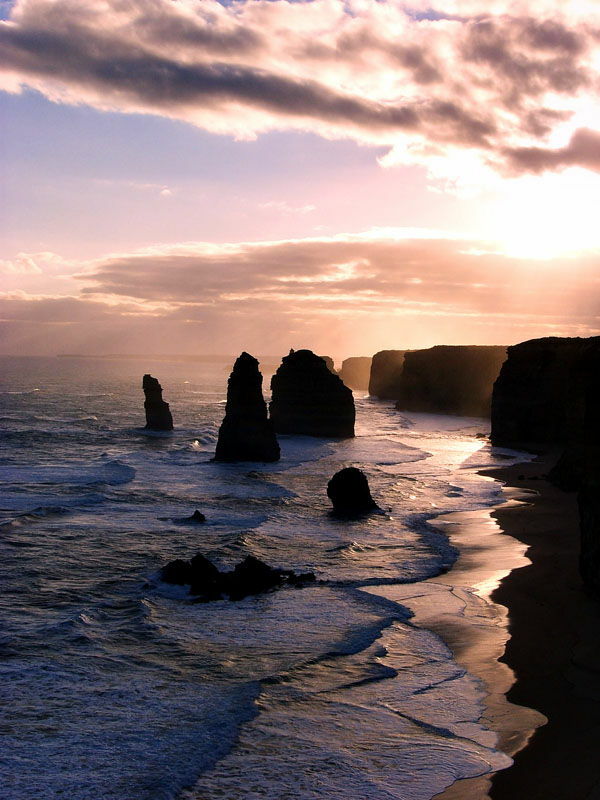 I only took a day trip down the Great Ocean Road in Oz, but capturing this scene of the 12 Apostles was easily the highlight. 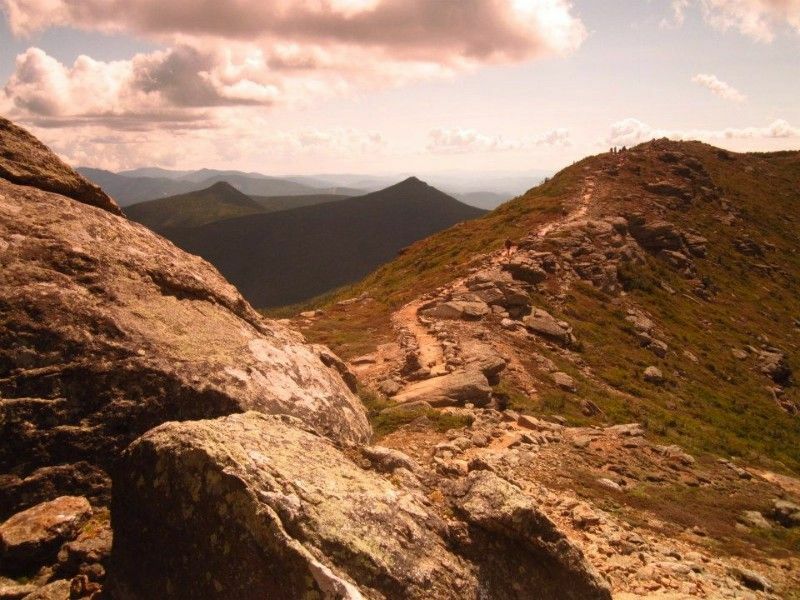 We took this photo along the Franconia Ridge in New Hampshire’s White Mountains (USA), just before we moved from our home in New England to China. 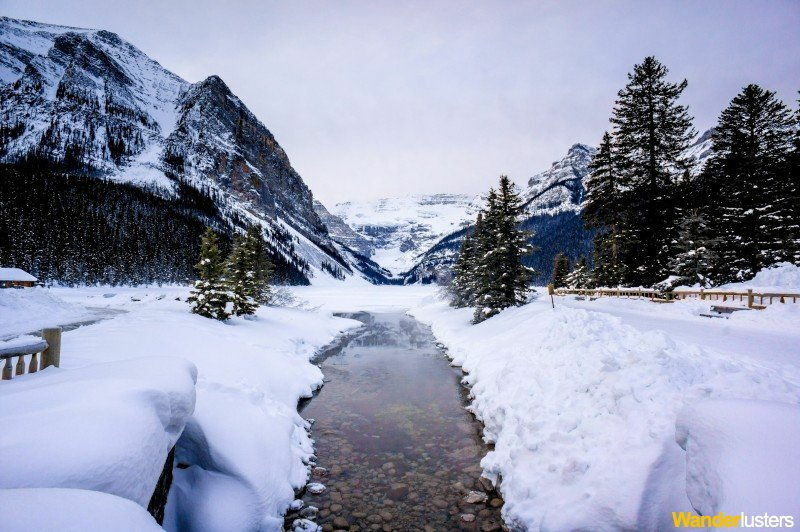 For us, this photo is a great reminder that although we have travelled all over the world and seen such amazing natural beauty, some of the most stunning landscapes are found in our own backyard. The photo is of my favourite New Zealand beach, Punakaiki on the South Island’s West Coast. It’s not far from the famous pancake rocks. If you time your visit just right you can capture some amazing sunsets at this location too. 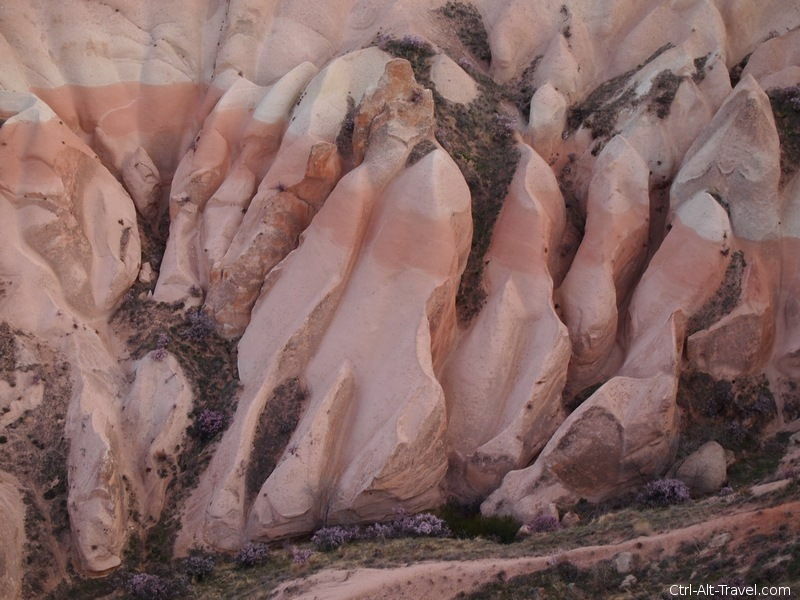 The valleys of Cappadocia are some great views of nature doing some wonderfully beautiful stuff. This photo is of Rose Valley and was taken from a balloon. The white and red striations in the rock are really neat. For perspective, the purple blobs are full size bushes, so that cliff is pretty big. Here’s a sloth I photographed in Costa Rica. It was slowly making its way from tree to tree, but I guess it was kind of slippery since it had been raining; so it suddenly slipped and fell to the ground! Couldn’t see it land but I’ve heard sloths are quite sturdy and rarely die from falling to the ground. Our shot is one we took when we were hiking up Mt Etna in Sicily. The mountainside was so barren with hot black volcanic rock as far as you can see. Even though volcanic rock can be quite fertile we were still surprised to see huge clusters of these beetles everywhere. They stood out and were so bright in contrast to the rock. We just returned from a week on the island of Ambrym, where we stayed with a local village and trekked to Mt. Marum, one of their two active volcanoes. 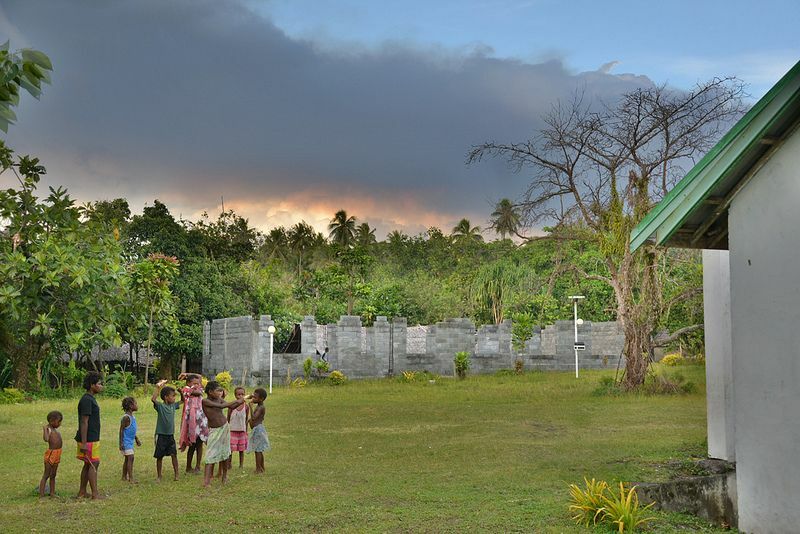 The afternoon after our trek, I was standing by the village church, staring in awe at the skyline filled with blue sky, black ash, and the fiery orange reflection of lava. I was most amazed at how this phased not one of the village children, as they continued about their day without a worry in the world. We were blessed with an incredibly rare sighting at the end of our visit to Antarctica’s Ardley Island. This mama Gentoo Penguin had two baby chicks (usually only one survives). After waiting more than half an hour in the freezing snow and watching as they slept, we were greeted by the sight of the twins waking up and begging to be fed. Antarctica was one of the most beautiful and peaceful places I’ve ever been to. Even the air felt peaceful. Of course, getting to see so many penguins up close was an amazing experience! 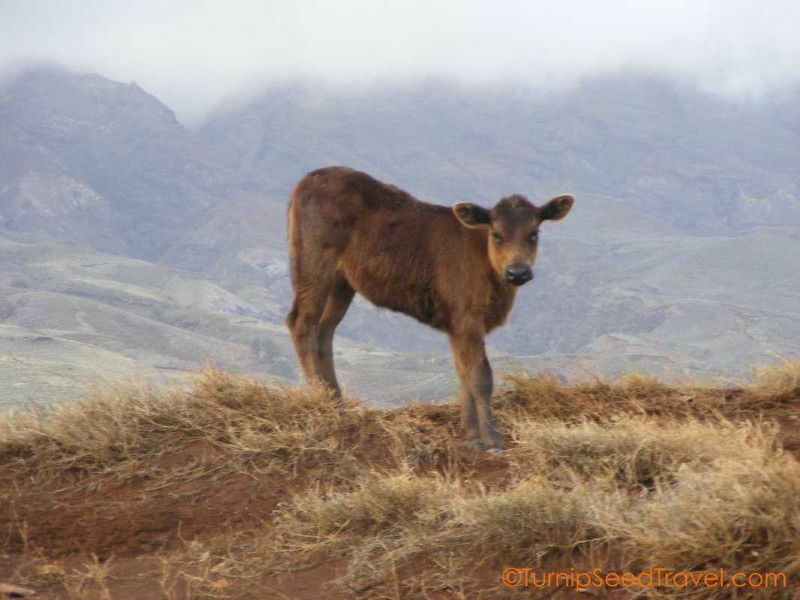 This photo is more than just a young calf against a fascinating landscape – he’s become a bit of a mascot, my favicon, my favourite travel photo ever. This photo came after a day of fantastic photo ops driving Maui’s famed Hana Highway. We decided to keep going past Hana, around the south-east tip of Maui and back up the other side. It turns out that this drive is not for the faint of heart or the weak of stomach. Little more than a single lane, unpaved track, there were sharp cliffs going up to our right and in some places, an ever sharper drop to our left, straight down to the ocean. As we tackled one particularly horrific section – up a dramatic steep incline and around a sharp turn, my husband remarked that we’d be okay as long as it didn’t rain. Seconds later, the skies unexpectedly opened up, turning the narrow, rutted road into a swampy mess. So what can top this crazy, wild ride? The spontaneous presence of herd of semi-wild cattle. No humble farm beasts these, they seemed to delight in challenging our jeep, running beside us, cutting us off, kicking out wildly. I stopped my hysterical sobbing long enough to snap this shot of a jaunty youngster with the gorgeous, remote, stark landscape of Maui in the background. I have just returned from my first trip to Cambodia where I spent several days touring the temples of Angkor. My favourite was actually not among those of the main site; I preferred crumbling Beng Mealea some 40 kilometres away. Man cleared the land to build grand temples and palaces which the jungle is now reclaiming. Mother Nature always wins. We parked our R.V. overnight at the nearby campground so that we could be at Emerald Lake early the next morning. Our plan worked and we had the lake walk to ourselves. A detour from the Banff to Jasper section of our 3 week R.V. trip around B.C. and the Rockies. Brian and I had a calm, clear day to explore the rocks near St. Mary’s lighthouse on the east coast of England. 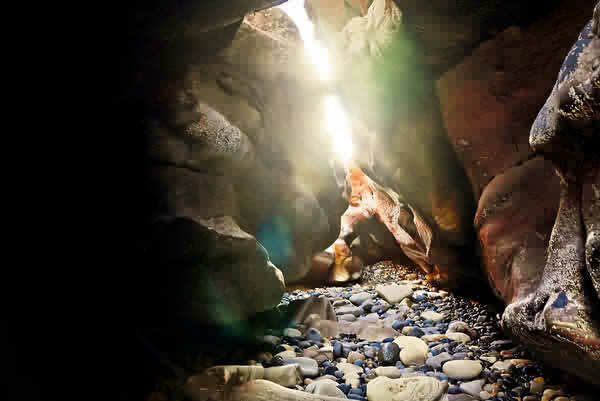 Brian climbed down into the cracks since it was low tide and the waves were calm, and caught this small colourful cave with the sunlight streaming through. This was taken during a trip in the Southern Carpathian mountain ranges of Romania. I needed to get away from European cities for a bit so a week in a rustic hostel, miles from anywhere, was what I needed. This photo is just above the village of Măgura where I was staying. In the background you can see the main ridge of the Piatra Craiului Mountains. 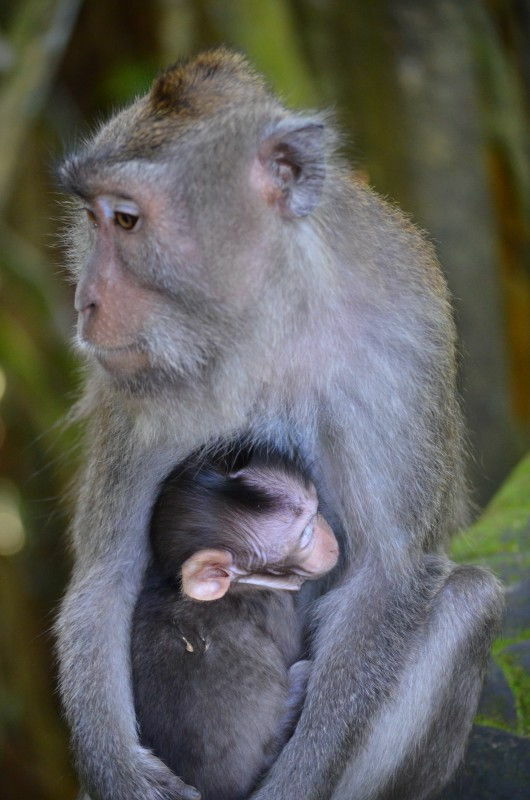 A mother and her baby, taken in Ubud, Bali, Indonesia. This was one of my favourites I took that day, they both seem to be so at peace. If you’ve loved the submissions to round #55 of Travel Photo Roulette be sure to share the wanderlust using the social media buttons below. Love one submission more than the others? We’d love to hear your comments, share your thoughts with us! My entry is from Yosemite National Park in the USA. Thanks so much for such kind words. Sweet photo, Greg! I looked at the photo before reading your comment (I also often eat dessert before dinner, so no surprise there…) and was initially disoriented. Thought I was looking at a skydive shot! Very nice! Nice work Ben & Charli, this theme’s sure to bring out all the semi-professional NatGeo photos out there. Should be fun. Dave, what a brilliant shot, that’s a pretty epic view. The organic rock formations are mind boggling. I’m sure you could have convinced me they were computer generated! Thanks for inspiring another addition to our bucket list. 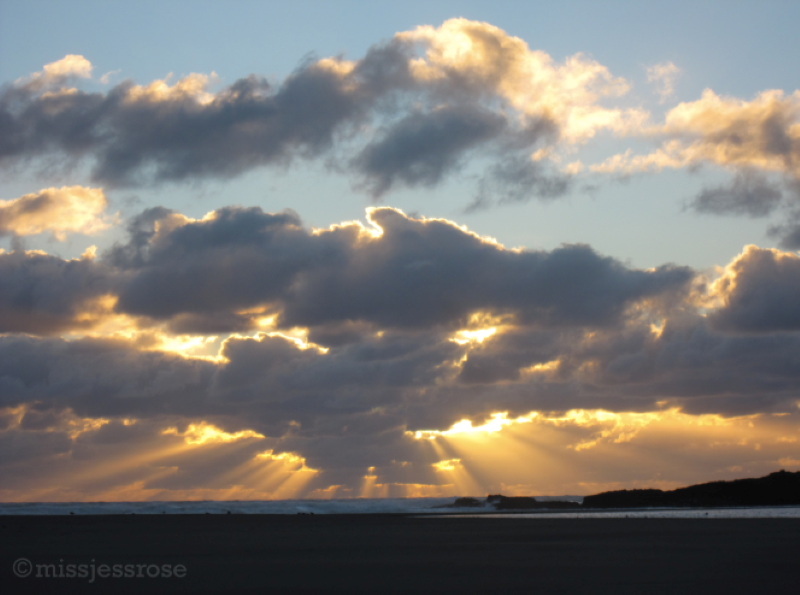 We were on our New Zealand campervan trip when we made it to Curio Bay on the south island. On the beach next to the campsite were some penguin nests and we sat out in the rain and cold for three hours waiting for the parents to return to feed the young. We were rewarded with this shot of the young penguin being fed bay the parent – mouth to mouth fish food. It was well worth the wait. The areas are roped off so that us pesky tourists don’t get to close and frighten the returning penguins so the shot was taken with a very long lens and a not so steady hand. We arrived at Karekare beach in Piha, New Zealand, just in time to see the sun bleeding through the clouds. Waves rolled in, white and foamy, reflecting the soft dazzling rays of sunlight as the clouds diffused their shine. This is the beach where The Piano was filmed, and amidst the overpowering beauty of the Earth’s elements, there was also a moody feeling of both romance and the gentle but constant reminder of Mother Nature’s power. Quite possibly one of my favorite natural scenes is that of Yangshuo, China as the sun goes down. Can’t get enough of those peaks! Jason, what a great composition. 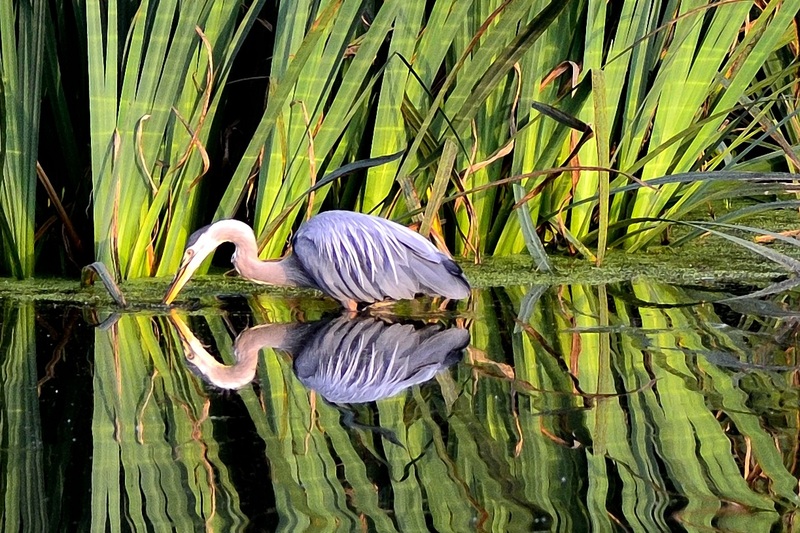 The lime green colours and vertical forms of the water grasses highlight the blue heron perfectly. The pastel tones and still reflection remind me of Monet’s Water Lilies. It’s such a beautiful image. Thank you for sharing. 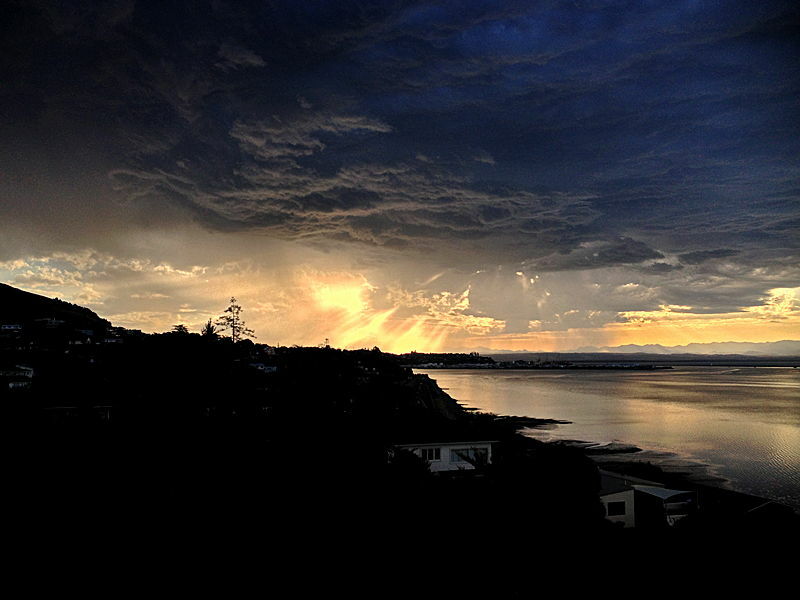 While visiting friends just outside of Nelson in New Zealand a magnifiant lightening storm brewed as the sun set and I managed to capture some very dramatic skies. 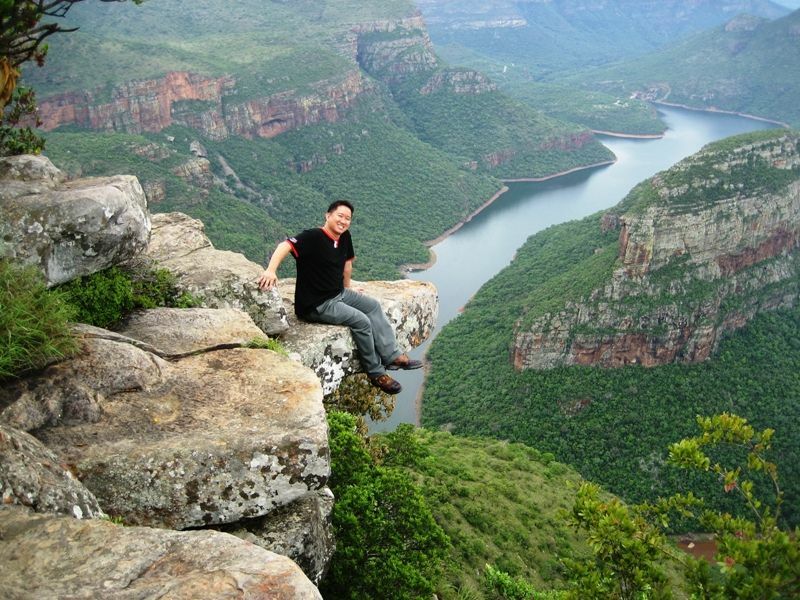 One of my most lasting “natural world” memories is sitting on a ledge overlooking the verdant Blyde Canyon in South Africa. It had such a primitive, other-worldly feel to it. I wouldn’t have been surprised if a pterodactyl flew by or King Kong came barreling through. It felt like the cradle of mankind! Any time I think of the Natural World I always think of home. And what better representation than my favourite place in the world – Clark Island, Whangamata. Clark Island has so many family memories and it is one place I will always return to when I get back home from travelling. These two look quite content posing for you Suzanne! You’ve really captured some great detail here. 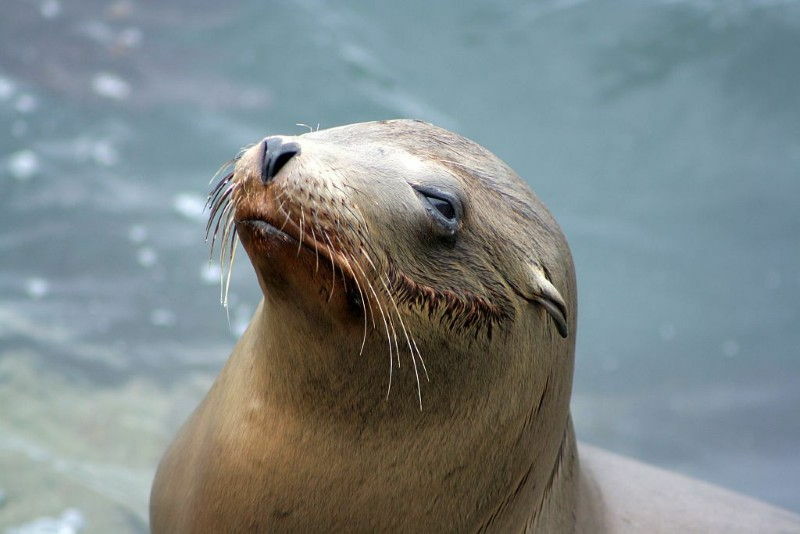 Every line and whisker is well defined. It’s great to see them out in their natural environment. It must have been quite something to be so close to them! Hi guys! Here’s my entry for this week. 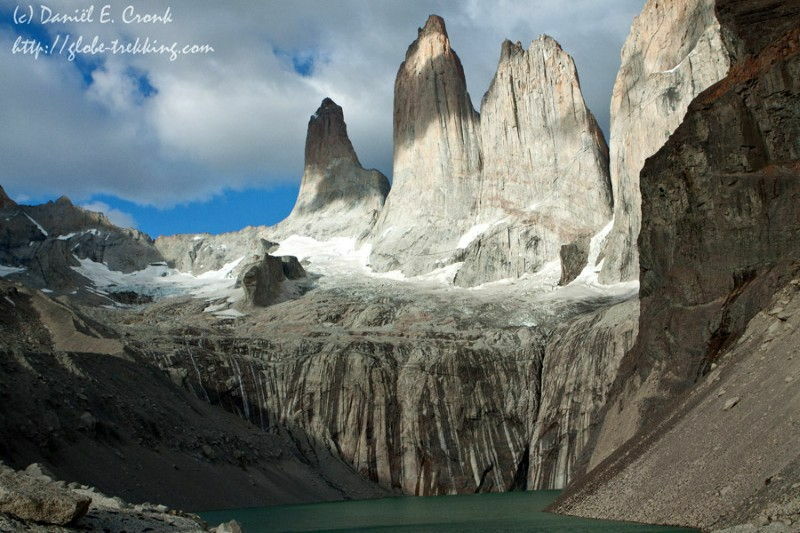 This inspires some serious wanderlust Emma. What a magical moment you’ve caught on film. The colours are just divine. 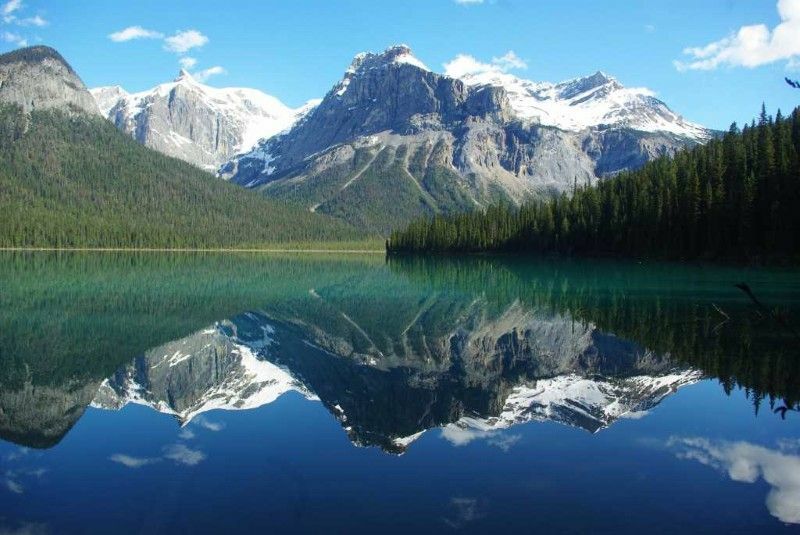 My favourite element is the crystal clear reflection in the still waters on the plain. The area highlighted by the sun breaking through the clouds serves to really accentuate the brooding sky and majestic landscape. 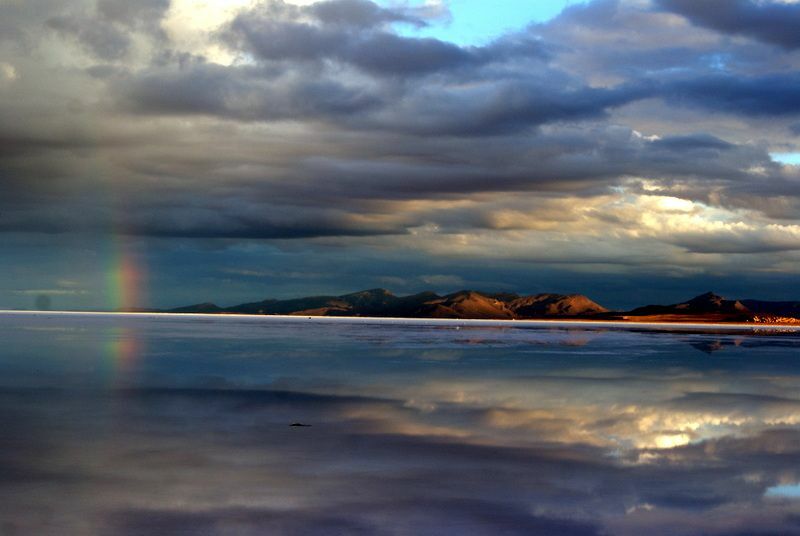 Thank you for sharing this, we’re off to book flights to Bolivia! Wow, so many beautiful photos already! 🙂 Alright, here is my entry for this week. One of the best things I’ve ever spent my money on while traveling was to splurge on a ten-minute helicopter ride over Iguazu Falls in Brazil. Here is one of the photos from that trip. I would splurged for that chance too. Stunning photo Ellen! Since I’m running with a New Zealand theme this month I’ll stick with a picture from Aotearoa. Seems like a lot of bloggers feel the same! Great theme – though a tough one to choose a shot for. I’ve gone for sunset on the island of Gili Trawangan off the coast of Lombok – I loved the pastel colours reflected in the calm waters and the weird looking rock formations poking through the surface. 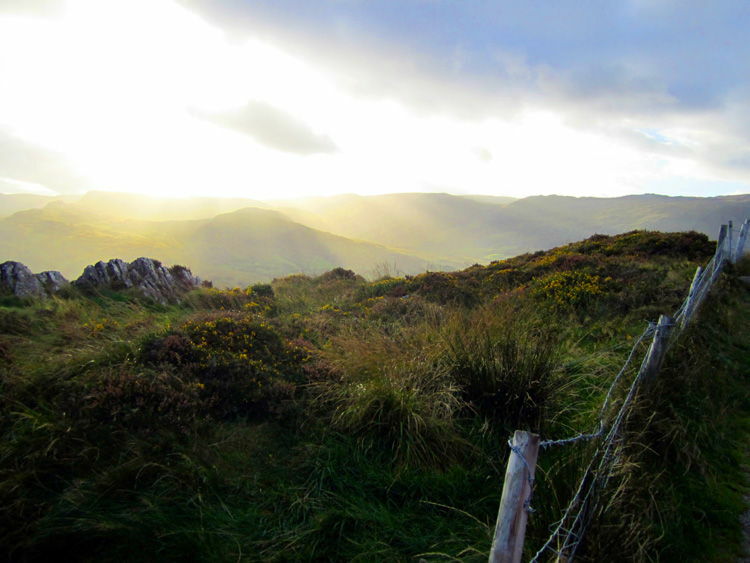 My submission would be a photo I took during dusk while driving over the Kerry Mountains in Ireland. At first I was going to select an interesting animal photo or beautiful landscape photo, but then I thought – that’s what everyone else will be submitting! 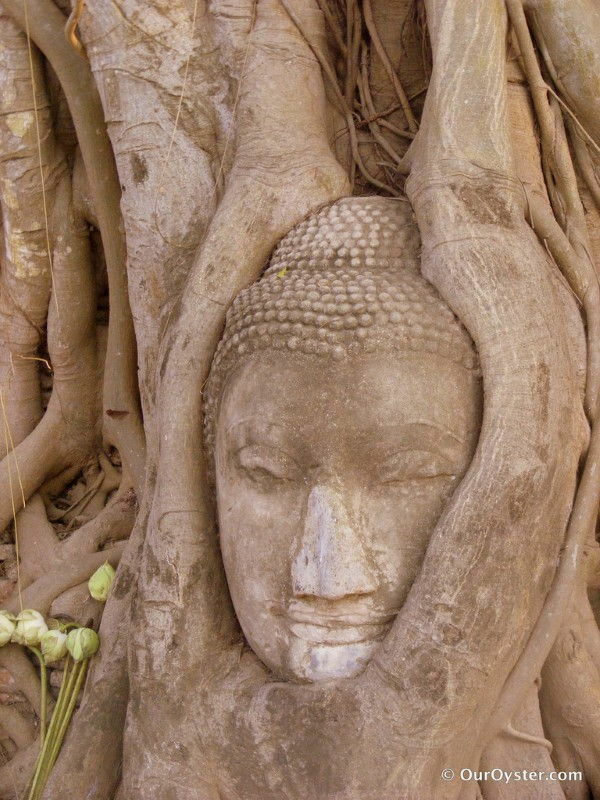 Instead I have selected this photos of a tree root enveloping the head of a Buddha statue. Although this photo was taken with a non DSLR and may be technically less quality than some of my other nature photography – I liked the way it shows the way that nature will always rise up over man made structures. No matter what, nature will always find a way to survive. But that doesn’t mean we have to fight nature, I think the photo shows that nature and the human world can become something even more beautiful when combined together. We just returned from a week on the island of Ambrym, where we stayed with a local village and trekked to Mt. Marum, one of their two active volcanos. The afternoon after our trek, I was standing by the village church, staring in awe at the skyline filled with blue sky, black ash, and the fiery orange reflection of lava. I was most amazed at how this phased not one of the village children, as they continued about their day without a worry in the world. There is an eerie feel to this photo. The brooding sky encroaching over the children who stand unaware of the potential power it yields is quite a powerful metaphor! Thanks Sam. We’re just overwhelmed by the quality of every entry. It’s going to be tough to choose a winner. You’ve made our decision even more difficult to make! I agree with your comment about the contrasting colours. 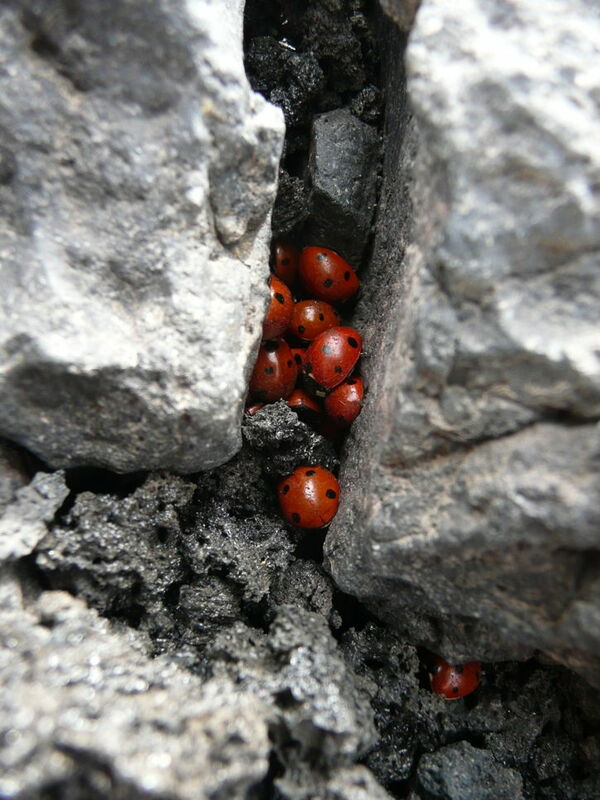 The dark volcanic rock makes the red of the beetles pop out of the image. It’s amazing where life can flourish, even in the most arid of environments the natural world still finds a way to thrive. We loved our time on Little Corn, especially the diving. 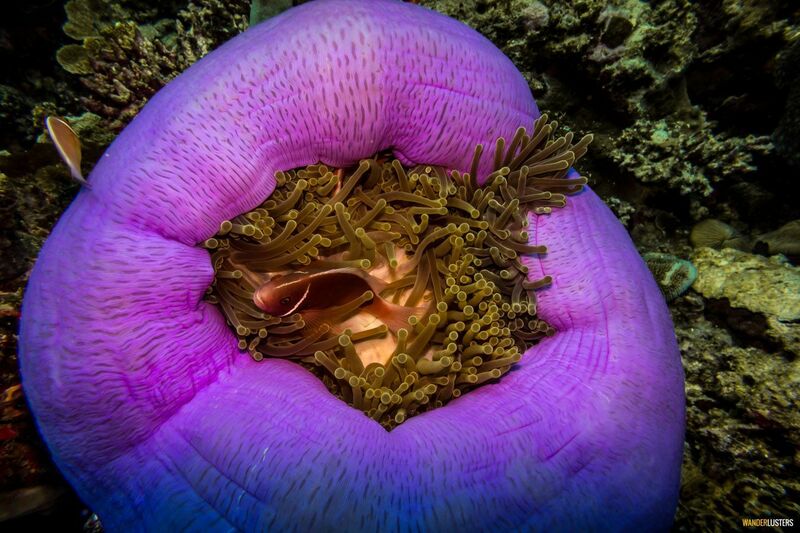 We highly recommend a visit to explore the natural beauty under the sea, there was loads of turtles, nurse sharks and even hammerheads, plus a lot of tunnels and caves to explore! The vibe is so laid back, a real slice of Caribbean paradise! 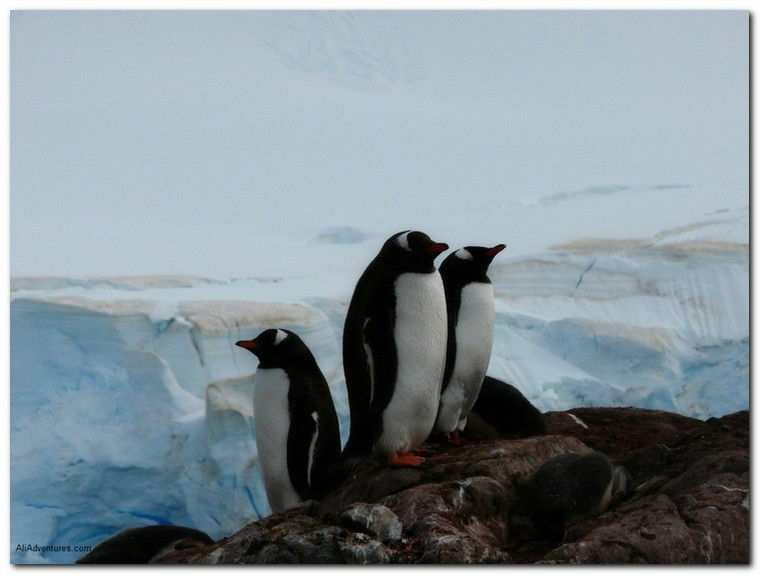 We were blessed with an incredibly rare sighting at the end of our visit to Antarctica’s Ardley Island. 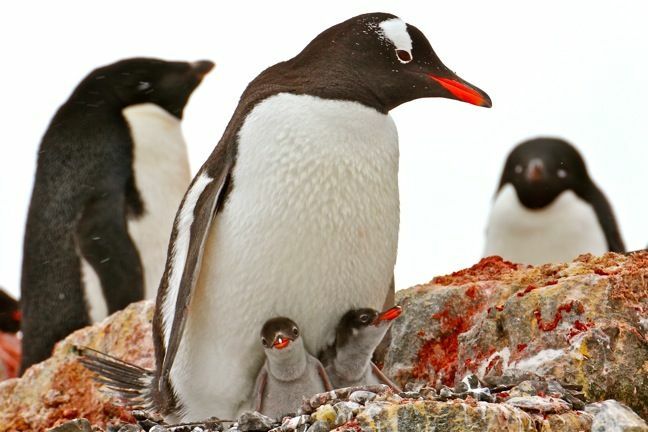 This mama Gentoo Penguin had two baby chicks (usually only one survives). After waiting more than half an hour in the freezing snow and watching as they slept, we were greeted by the sight of the twins waking up and begging to be fed. Thanks so much for inviting me to take part – I had a great time looking through some cherished photos. This photo came after a day of fantastic photo ops driving Maui’s famed Hana Highway. We decided to keep going past Hana, around the south-east tip of Maui and back up the other side. It turns out that this drive is not for the faint of heart or the weak of stomach. Little more than a single lane, unpaved track, there were sharp cliffs going up to our right and in some places, an ever sharper drop to our left, straight down to the ocean. As we tackled one particularly horrific section – up a dramatic steep incline and around a sharp turn, my husband remarked that we’d be okay as long as it didn’t rain. Seconds later, the skies unexpectedly opened up, turning the narrow, rutted road into a swampy mess. I have just returned from my first trip to Cambodia where I spent several days touring the temples of Angkor. 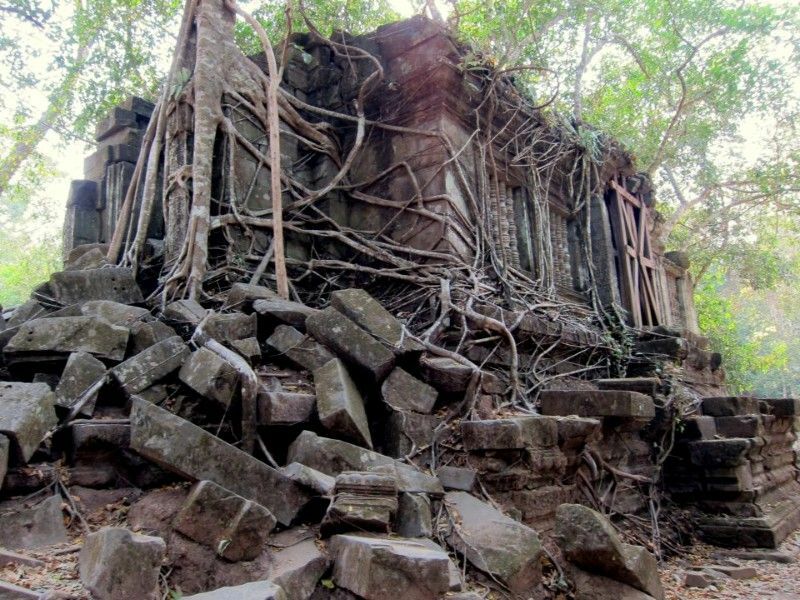 My favorite was actually not among those of the main site; I preferred crumbling Beng Mealea some 40 kilometers away. Man cleared the land to build grand temples and palaces which the jungle is now reclaiming. Mother Nature always wins. to utilize coupons when accessible. 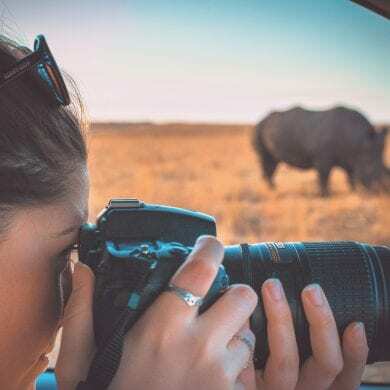 That picture of rhinos – is that considered to be life-risking just to be able to take that picture?